Which is the Best Generator for Your Home? Best Whole House Generator Reviews: Which is Right for You? Few investments can give you as much peace of mind as a home backup generator. These burly motors can churn out enough power to help you get through an outage without having to worry about food spoiling, or medical equipment running out of juice. In fact, many allow you to operate as usual, until your power supply is restored! On the other hand, home backup generators are a massive investment, and buying one can be one of the most challenging shopping experiences you face as a consumer. These machines are big, industrial, and highly sophisticated. It can be a real chore for the average consumer to choose between the options. We’ve put our team to work creating this comprehensive guide to the best whole-house generators on the market today! In our research, we’ve compared dozens of leading models. We consulted our own expertise, as well as expert test results from Consumer Reports, and reviews from everyday buyers who have spent time running these generators in their own homes. In this guide, you’ll find in-depth reviews of our three favorite whole-house generators. Our own reviews talk you through all you need to know about these models, and explain why we think they’re better than the competition. At the bottom of the page, we’ve also compiled a handy list of pointers to help you decide which generator is your best bet. 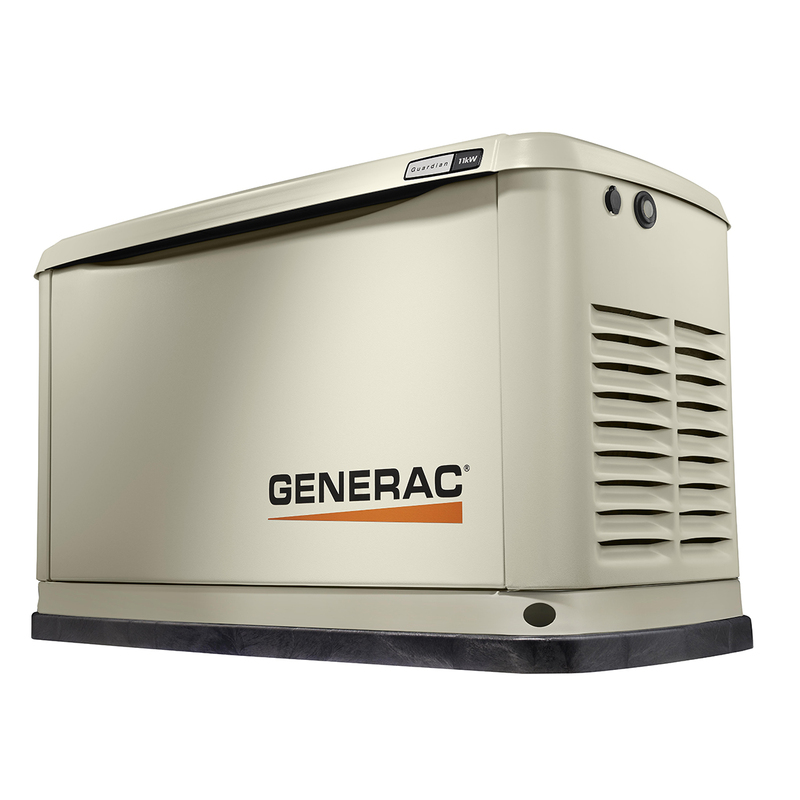 Our most budget-friendly recommendation for a whole-house generator comes from Generac. It’s a powerful machine in a compact, convenient package. This one’s the most reliable choice we’ve found for keeping the basics running in an average home, or powering everything in a smaller-demand home. 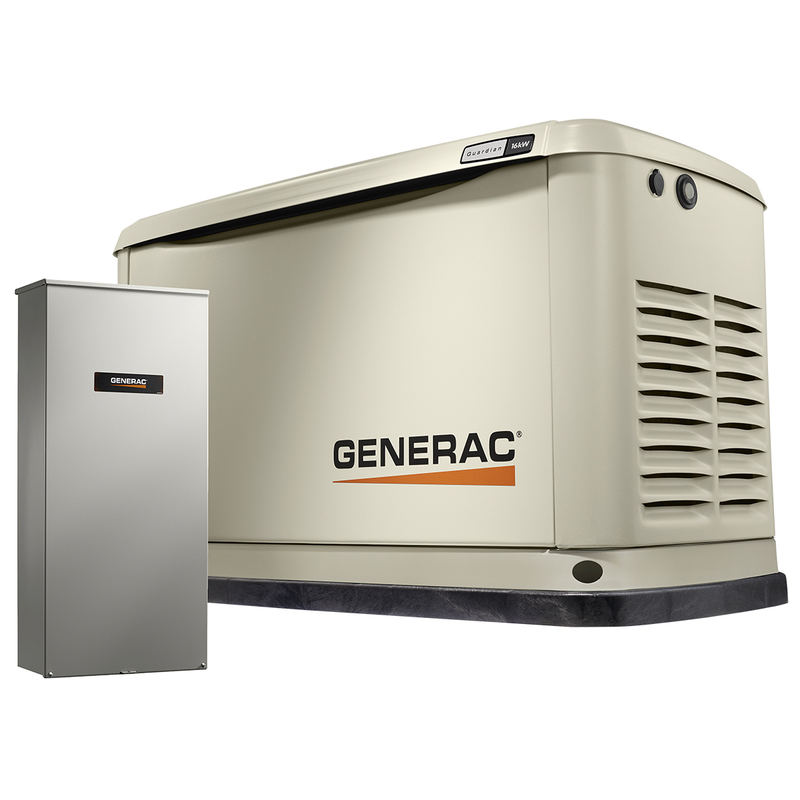 The Generac has plenty of smart features which make it a reliable, low-maintenance backup system for your whole house. It’s our top choice for people who want to spend the least amount possible on a backup system without skimping on quality, power or reliability. It cranks out a lot of power for its footprint. At 11KW, this machine can keep the small to midsize house running pretty much as usual during an outage (though we always recommend cutting down on extra usage, like TV, to preserve fuel in case the outage lasts longer than expected). 7 KW is our general baseline recommendation for powering the basics of an average home, so this is handily more. One key aspect that really sets this apart from other inexpensive options is the consistency of the power output. For the sheer amount of power the Generac produces, the evenness of its output is quite impressive. It produces power at less than 5% harmonic disturbance, which is relatively clean and safe for your appliances. You can run it on natural gas or propane–whichever’s cheapest in your area. Even though it’s very powerful, it has a relatively small footprint. This model only takes up about a 2X4 feet footprint, and it stands less than 3 feet tall. This is also part of a redesigned series from Generac which is intended to be easier to install. It has removable side panels, and comes with a base pad. The pad replaces the concrete base that you’d normally have to install as a mount. It’s also the least obtrusive to install around your house. This one’s easy to build into flower gardens or landscaping without leaving an eyesore. We think the controller is by far the best in the budget range. The new controller design on these is a lot more user-friendly than older models. It has 2 lines of text, plus color-coded and backlit buttons for navigation. This is no iPad, but it’s relatively easy for the average person to figure out. You can also kit one of these out with a mobile link, so you can control it from a phone, tablet, or computer. That’s an extra feature that you’ll have to pay for separately, but we think it’s worth it to not have to go outside during a winter outage! These are also good accessories for anyone who travels frequently, since they allow you to double-check that everything’s shipshape while you’re away. The computer will run its own test starts and self-evaluations periodically. So, aside from making sure you have fuel in your tank, there’s not much of any maintenance to do on one of these! The preset is to run for about 5 minutes on a weekly basis. We particularly like that the tests are run at a lower RPM, which allows the machine to perform the same tests without using as much fuel or creating as much noise. It’s a smart design tweak that you won’t see on other budget options. 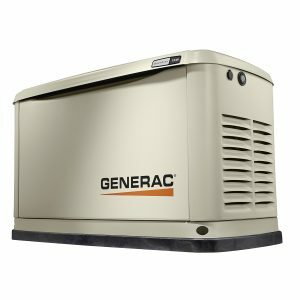 It’s heavy-duty, and rated to stand up to 150mph wind speeds.The Generac has an all-aluminum enclosure which is fully weatherproofed. It’s designed specifically for cold and wet conditions, and we’re pleased to see all the caulking and insulation material inside the housing. No complaints in that department! The housing is corrosion-resistant, too, so it doesn’t start looking ratty in a hurry. That’s something we’ve run into with a lot of other cheap models, which turn into eyesores in no time. Another key feature that we look for: you can lock up the housing to prevent any tampering! That’s very important, especially if you live in a more populated area. 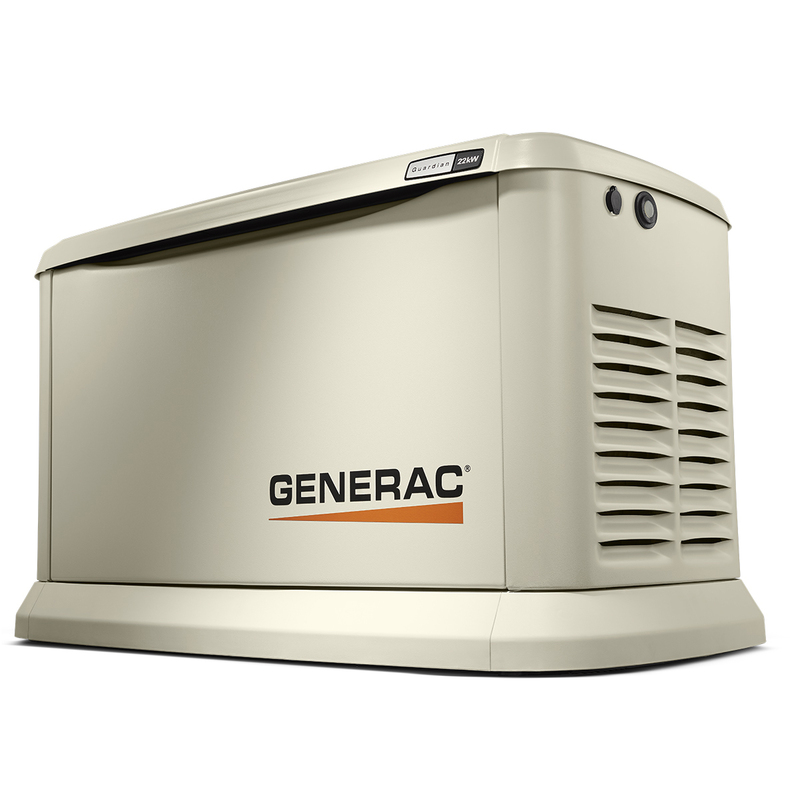 The Generac is built in the USA, unlike a lot of cheaper whole-house generators. We think it’s important to invest a bit more for American build quality, because it guarantees better quality control than crappy imported options. You can safely install these close to the house. This one’s safe to run as close as 18″ from your outer wall! You have to make sure it’s not close to entry points or air intakes, but otherwise it’s certified at NFPA safety standards. We place a premium on low-emissions and efficiency when we review units. Those are two key departments in which the Generac thoroughly trumps the competition in its power class! This one’s CARB-compliant, which is the strictest generator emissions standard in the country right now. It runs relatively quietly. 63 decibels is actually quieter than most vacuums, so you can get through an outage with very little bother. This one’s certainly much quieter than portable units that you’d use for the whole house! You can get this with either 16-circuit or 200-amp transfer switches. We’ve linked to Amazon, since they conveniently list the generator as a standalone product or with one of two transfer switch options on the same page. You can usually save a lot of money bundling the generator and transfer switch, too! Generac has a good reputation for installation and delivery. If you opt to arrange professional installation and delivery at the checkout (easy to do with the links in our review), they’ll set you up with someone in their dealer network. We’ve heard glowing reviews from folks who have dealt with the company. It’s covered by a 5-year warranty, longer than the other budget models we’ve reviewed. Generac is also an American company, and they have US-based tech support on call. That’s invaluable, especially if you’re not super savvy with generators. As with any big home generator like this, installation can be very pricey. While you could certainly attempt the installation yourself, warranties on whole-house units aren’t typically valid unless the machine is installed by a licensed pro. So, plan to invest more for the installation! You’ll also need to buy a battery separately. A Generac 5819 is what you’ll need to get up and running with this system. This is on the smaller end of the spectrum as far as output. We generally recommend it for smaller to midsize homes, but choosing a wattage is more about what you actually need to run, rather than the size of your home. Have an electrician give you an estimate, if you’re not sure! Looking carefully at your electricity bill is also a good way to judge your average daily power usage. In any case, if you’re trying to run more than the essentials, or larger systems like A/C, you should invest in a more powerful model. 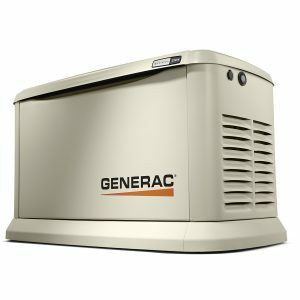 This Generac model is from the same lineup as our budget pick (all our current recommendations are variants in the Guardian Series)! It has lots of the same features, but it’s scaled up slightly to give you more power to work with. We’ve recently added this model to our recommendations in place of a Kohler model, because the Generac has proved to be way more reliable over years of operation. We’re confident that it’s the most reliable, unobtrusive midsize option out there. This is our top midrange whole-house recommendation. It’ll run all the basics in most larger homes, and is enough for smaller homes to ride out a storm without making any sacrifices! While we always recommend figuring out your exact power needs before making a decision, this is our recommendation to the average buyer! With a running output of 16 KW, the 7037 is a lot brawnier than its smaller sibling. This is more than most smaller homes actually need! It’s up to running most small and midsize homes through an outage with capacity to spare (but be sure to check your own needs before you decide on one!). We think anyone who can afford this one ought to buy it, even if you think you could make do with the 11KW model. The 7037’s larger motor won’t have to work as hard as the 11KW model’s to provide the same amount of power. That usually translates to a longer running life. Plus, we think it’s always better to give yourself a bit more power than you actually need. In the lifetime of one of these generators, you could easily add a few more appliances to your home. You might also add something like radiant heating, for example, which would create a much higher draw on your backup supply. It’s not much larger than the 11KW model, even though it provides 25% more power. In fact, this thing has basically the same footprint! It’s slightly taller, but still a very unobtrusive setup. You’re only looking at a few inches of difference. The point is that this is just as easy to landscape around and make blend into your property. Plus, if you’re using it for a slightly larger home than you would the 11KW model, your job will be even easier! It’s still relatively inexpensive, too. The increase in cost is proportionally less than the increase in power, making this more of a bargain than the 11KW model. It’s certainly much more affordable than comparable Kohler/Briggs & Stratton models, even though it ends up being a more reliable purchase. As with the 11KW Generac above, this model can be run using either natural gas or propane. It cranks out the same wattage on each fuel type, too. That’s not the case with most of the competition! One reason we prefer this over other midrange options: even the 16KW model is safe to install within 18″ of your outer walls! A lot of competitors have to be moved further away. The closer you can install, the cheaper installation will be, and the more conveniently you can get to your unit if you need to access the controls. As with the smaller Guardian Series model above, you can install this one without a concrete base. As long as you have a level spot with good drainage, you can use the same ground pad that comes with the smaller model. You can get 16KW or 200 amp transfer switches bundled with this one–the same options as the 11KW version. We’ve linked to the Amazon listing, which gives you all the options in one place. While we used to recommend a Kohler as our midrange pick, the Generac has proved to be far more reliable for the long haul. We don’t think this is perfect by any stretch: the Kohler is more efficient with your fuel, and it has better harmonic control for appliances. Still, none of those features matter if you can’t rely on the thing to run in the first place! Again, installation will cost extra, and you’ll need to buy an appropriate battery (Generac 5819). For the largest homes, we suggest making the extra investment to get the 22KW model below. This one is good for most small and midsize places, but if you have a larger living space or lots of power demands, the 22KW is going to suit you better. It’s slightly louder than the 11KW model. That’s not all that surprising, and this is still relatively quiet. We’d describe it as about as loud as a neighbor mowing their lawn. It’s not quite as efficient as the Kohler models of the same output capacity. Of course, that doesn’t matter much if your generator doesn’t run properly in the first place. That’s why we recommend the Generac despite its shortcomings. Our largest pick for whole-house backup is the Generac 7042, from the same Guardian Series as our other recommendations. It’s not much different from the 11KW and 16KW models–just more powerful! This system can handily power the largest homes, even with amenities up and running. We’re aware that there are more sophisticated and efficient models at this scale, such as the Kohler we used to recommend in this slot. However, as much as they’ve impressed us out of the gate, none of them last as well or work as reliably as the Generac’s. So, while this may not be the most appealing model on paper, we think it’s the best long-term investment for the larger home. There are very few houses the Generac 22KW won’t power handily. It doubles the output of our cheapest recommendation! With 22 KW running output, it’s the largest air-cooled option on the market, and the most powerful model we recommend to residential users. This packs more than enough juice for mid to large homes, and will power most places with everything on! While it’s never a great idea to use unnecessary power during an outage (especially if you don’t know how long it’ll last), it’s nice to know you won’t be pushing your system’s limits! The high output ratings are even more impressive given that it doesn’t even cost twice as much as the 11KW model! So, you get a lot more bang for your buck with this one. It actually has a lower cost-per-kilowatt than any other brands or models we’ve seen! Even though it’s the largest of the three, it can still be installed in the same way as the other Generac’s. You don’t need to bother having a concrete platform built, since this one uses a ground pad that comes in the crate. It uses the same simplified wiring scheme, and can be installed just as close (18″ or further from the back to your exterior wall). It’s hard to overstate how convenient it is to have such a powerful generator which is so easy to install. This 22KW model has the same footprint as the smaller models (it’s only larger vertically)! You can very easily landscape it into your property. The competition is much bulkier and more labor-intensive to get set up. As well as being the most convenient for its power output, this is by far the most reliable large-scale generator we’ve reviewed. Comparable Kohler or Briggs & Stratton models have shockingly poor reliability records. The Generac is as good as it gets for long-term performance. You can also get a long-term guarantee with this one! Listings vary, but extended warranties are often available, for as long as 10 years! We don’t know about you, but we’re always interested in long-term insurance. Sure, it can seem like an extra expenditure at first, but we’ve never regretted having an extended policy. Even though it doesn’t have the fanciest features on the market, it has the basics covered handily. You can get it set up with online monitoring, thanks to mobile connectivity. It has intelligent overload protection, and starts automatically in well under a minute when power goes out. If you’re like us, you know there’s no higher praise for a generator than being able to forget it’s there. This is the closest you’ll get to that on a big scale. For such a powerful system, it’s very low-maintenance.Oil and filters are easy to access, and the display will let you know when things need to be changed. You’ll need a big fuel tank. This one should be attached to a 250-gallon tank to work optimally, or 500-gallon if that’s an option. Of course, the larger the tank, the longer you can ride out the storm and aftermath. We suggest 500-gallon installation wherever possible. Prices vary, but the MSRP on one of these pushes $5,000 with the transfer switch. That’s not even considering installation or a battery. It goes without saying that this thing is no casual purchase. This one only comes with a 200-amp transfer switch, and it’s not certified for use in Canada. Sorry, Canadian readers! It’s the loudest of the bunch–about twice as loud as the 11KW (which is to be expected!). We think it’s still relatively quiet once you’re in the house, but you’re definitely going to know when it’s running. This is our top recommendation at the moment, but we don’t think it’s perfect. It’s less efficient than the comparable Kohler’s, and that lack of efficiency can add up to extra fuel costs through long outages. Again, the Kohler’s don’t run reliably enough for us to recommend them in any case. The point is there’s certainly room for improvement in the whole-house market, even among our top picks. By this point in our guide, you’ll no doubt have noticed that all our whole-house recommendations come from Generac. We do pride ourselves in staying neutral, without any brand affiliations. That’s still true with our review process for whole-house generators. The fact is, while we used to recommend Kohler’s popular 14W and 20W generators for larger demand, we’ve found that they’re not nearly as reliable long-term as the Generac offerings. Kohler’s still impress us out of the gate, and we’re not alone! Consumer Reports consistently gives them top marks. We’ve heard too many horror stories to recommend them as long-term investments, though. So, rest assured that we’re not plugging Generac’s for the sake of supporting the brand. Actually, we’d much rather see stiffer competition on the market to force more innovation. For the moment, though, Generac is where it’s at for reliable and capable whole-house backup. If you’re on a budget, we think the Generac 11KW is the best choice for you. 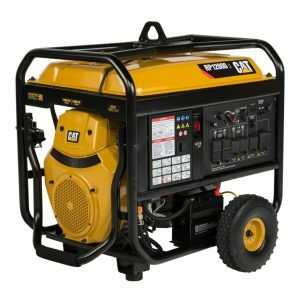 It’s much better thought-out than other generators in its price range, and it provides a lot of bang for your buck. It has enough juice to power all the basics in an average house. However, it won’t handle big loads like air conditioning systems and so forth. This is not suitable for midsize and larger houses, either. If you have a smaller to average-size house, the Generac 16KW model will take care of you very nicely. It’s mostly identical to the smaller 11KW model, and keeps all the key features. This one’s our suggestion to the average buyer who wants to ride out a storm comfortably, but without any very large power needs. The 16KW is still not enough for larger homes, though, or for running big air conditioning systems constantly. If you live in a big house with lots of demand, you should invest in the 22KW model. If you have a larger house, a central air system, lots of appliances, or outbuildings to think about, the larger Generac 22KW is your best bet. It’s also the best bet for people who simply want a generator that will get them through an outage without having to make any compromises. It’s very nearly as compact as the other two recommendations, even though it packs twice as much power as the 11KW Generac. The only downsides for us are the price and the noise level. This one’s at least a $5K system, even before installation. It’s also about twice as loud as the 11KW model. So far, we’ve looked at fixed, hard-wired generators for keeping your house powered during an outage. However, we realize that a lot of people are looking for a portable generator solution to the same problem. A portable whole-house generator is a very cost-effective purchase, because you’ll be able to use it for much more than an emergency backup. Sadly, a lot of portable generators simply aren’t powerful enough to deal with house-scale power loads like sump pumps, air conditioning systems, and large appliances. Consumer Reports has recommended this as one of their top generator picks overall, and it’s one of our favorite new models on the market. While this one technically falls into the portable generator category, we think it’s a capable whole-house solution for people who just need to run the essentials during a power outage, and want a generator they can use for other applications as well. At 7,000W, the Honda has about half the power of the smaller Kohler we’ve reviewed. That’s still enough to run a sump pump, water pump, and other essentials like septic, fridge and heating equipment. It’ll leave a bit left over for lights and other amenities, but it’s not big enough for you to carry on as if there weren’t a power outage. We think it’s a great option for smaller homes, and people who don’t use a lot of electricity anyway. Or, if you can live without some of your appliances, you could use this for an average size or larger home. The most impressive feature on this model is the noise level-it’s quieter than any fixed home generator. That makes it a great solution for having an outdoor party with music, lights and hot plates. If you do lots of DIY projects, this is also one of the most capable portable systems you can find on the market. 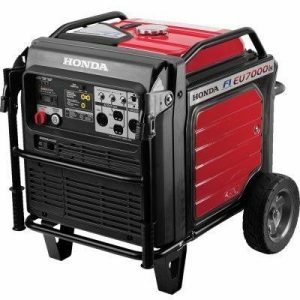 It’s also a good generator to take camping, as a way to power your motorhome or camper amenities. It’s as quiet and unobtrusive as most portable generators half its size, and it cranks out a serious amount of power that should satisfy any camper’s creature comforts. CAT also makes an excellent portable generator for whole-house backup. The 12000E is one of the most powerful portable systems on the market, and it’s even more powerful than many stationary options! The RP12000E has a whopping 12KW max output rating, and can bring 15W online thanks to a massive starting rating. It’s the only portable option we’ve found that can give you a comparable experience to using a stationary backup generator. Be aware that this is a massive unit, though. It’s about a cubic yard, and weighs in at about 400 pounds. It also makes an almighty racket. Having said that, it’s stable, efficient, and very reliable. Home or whole house generators start around $3,000, and they can easily cost up to $10,000+. We generally recommend that the average homeowner aim for somewhere between $3500 and $7500. Above $7500, you’re looking at massive, hulking machines that are more appropriate for a big farm or a business. Generators are priced in a fairly straightforward manner: the more powerful the machine, the more it will cost. You’ll also find that more expensive generators are more efficient, and have smarter, safer features which make them more convenient and more reliable to use. Budget-priced generators below $4,000 can be very powerful, but they’re generally less efficient and a bit less responsive than more expensive models. So, it’s common to see a budget 16KW generator cost $4,000, while a more efficient, smarter 14KW generator costs the same or slightly more. If you’re on a tight budget, you may want to opt for one of the more powerful but less efficient models. However, a larger initial investment in a more efficient generator can result in long term fuel savings, especially over the course of a long outage. 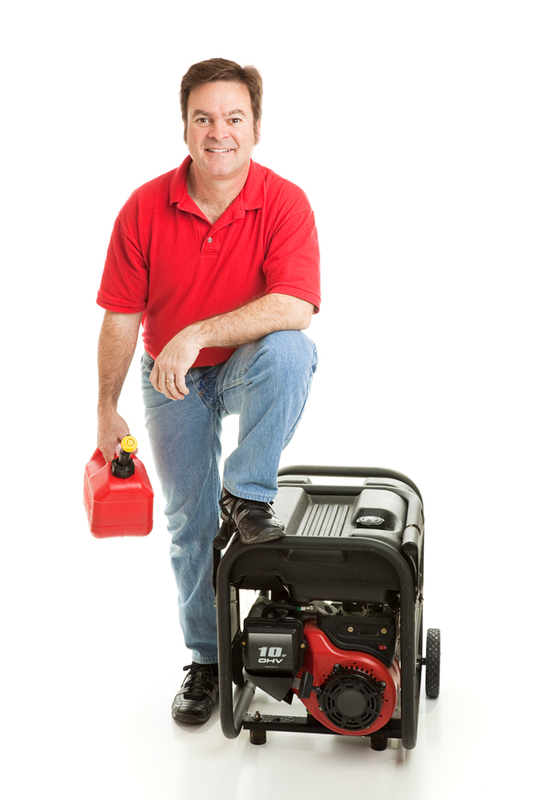 Around the $5,000 mark, you’ll start to see very efficient generators which use as little as 1 gallon of fuel per hour. In many cases, that’s a 1/3 or 1/4 the consumption of one of the budget options. Your own budget should take into account the overall power needs you have, and the cost of the fuel you’ll be using to run your generator. You’ll also want to think about how often the generator will be used. If power goes out frequently in your area, or if there are a lot of strong weather events or natural disasters nearby, it’s probably worth spending at the higher end of the spectrum for something that’s super reliable and efficient. You’ll see the fuel savings add up quickly, which can offset a lot of the initial cost. We recommend spending as much as you can afford on your new generator. While these machines can be a huge investment, they add to your home value, and can give you invaluable peace of mind. It’s not worth saving $1,000 by skimping on your generator, if you come home and find that the sump pulp didn’t have any electricity to run on in a disaster. Before you make any decisions or get carried away with shopping, you should nail down exactly how much power you need your new generator to produce during an outage. Look at your utility bill to see what your average usage rate is, and make sure you ask an electrician or a utility representative if you have any questions about making your estimates. If you’re just planning on keeping all the essentials running, and can make do without amenities like an electric stove, air conditioning, or other extras, you probably use about 7KW in your house. Think of that number as the bare minimum the average homeowner needs to get through an outage safely. That’s what you’ll need from a portable generator if you want it to power your whole home (sump pump, furnace, water pump, and basic lights/fans). If you use propane or natural gas for your heating, oven, and other appliances, that might be enough for you to make it until the grid comes back on. However, most people buy a whole-house generator in order to be able to ride out a power outage with most amenities intact. You’ll want to make yourself dinner, use tech devices, and have heat or air conditioning when the weather demands it. Plus, most of us want to get through an outage without sacrificing our creature comforts like TV or microwaves. For a small house, or an average-sized house that doesn’t use a great deal of electricity in the first place, we’d recommend something to the tune of 11KW-14KW. That’s enough to cover most people who use electricity for most appliances and utilities in a smaller home, or an average home which doesn’t have a large central air system or another big draw that would require a larger supply. If you have an average house, with all the usual electrical loads (sump pump, furnace, water pump, etc.) plus air conditioning, chest freezers, or another larger load, you’ll probably want to look at something around 16KW. That’s our general benchmark for the average homeowner. It’s a good rule of thumb for people who don’t live extravagantly, but also don’t want to have to cut back on comfort during an outage. Larger houses require something more like 20KW. That’ll cover any larger homes, with all your amenities online, even if you’ve got air conditioning, a big refrigerator, outbuildings, and chest freezers going all at once. Remember that a home generator comes with a few ongoing upkeep costs, as well as the large initial ticket price. You’ll need to plan on spending a bit of money every year for periodic maintenance and tuneups. That service should be covered for the first few years of ownership, but you’ll eventually need to cover it yourself. And, of course, you’ll need to pay to keep your fuel supply stocked up, so your generator is always ready to go in the event of an outage or emergency. To lessen your fuel bill, we think it’s a good idea to consider spending more on your generator up front in order to get something that uses less fuel while it’s running. 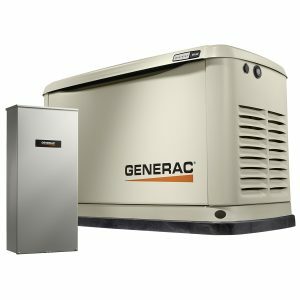 An extra few hundred dollars up front for an efficient generator is probably a smart financial move if you’re going to use save a third of the fuel costs over the cheaper option. However, we also understand that some people simply can’t afford to spend a premium all at once for an efficient machine. If your power goes out frequently over the course of the year, spending extra money for a more efficient generator is definitely a smart move. Your savings will be substantial enough to offset the extra cost, probably within the first couple years of owning your generator. If none of our recommendations are quite right for you, check out all of Amazon’s best-selling models here!